Integrating your Shopify store with Google Merchant Center is a critical channel to optimize for sales. Having a properly optimized Google Shopping Feed makes your ad spend efficient. This app offers some one-of-a-kind features like being able to bulk set Custom Labels or Google Product Categories. 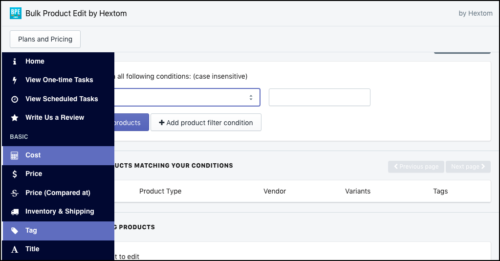 Shopify has great shipping functionality until you want to start mixing and matching calculated rates with weight-based rates — then throw in conditional rules and free shipping and you quickly find yourself searching for a tool… This tool allows you to build a decision tree based on rules you define to show what shipping options you want to show. This app is very powerful and MZL Solutions provides awesome support. There really is no more powerful way to handle all the shipping scenarios tens of thousands of SKUs from multiple suppliers bring to your desk to manage. Bulk Product Edit is Walnut St Labs’ go-to tool for making bulk changes to products in Shopify. 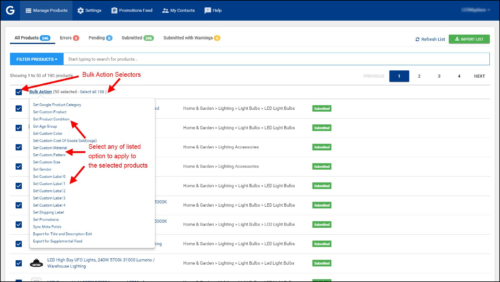 Need to tag 4K SKUs with a vendor name? Done. Need to add disclaimer to the bottom of every product or just a sub set? Done. Need to changes prices on a vendor by a percentage? Done. This app provides so much utility and value that managing a store without it would be truly daunting, because 50K of anything is not fast. We believe these apps make managing a high-SKU Shopify store easy — so you can stay focused on sales! If you need help or want to talk through one of your problems, let us know.